Jamey was an athletic bundle of energy. Crowned with his mop of curly brown-gray hair, he leaped, twisted, curved, balanced and tilted. He moved fast, but not without care or purpose. He emoted something both lost and found, held and released, inward and outward, young and mature. I started dancing in high school in Portland doing musical theater. I was in the musical George M! The only reason that’s significant is because I had this amazing drama teacher who decided the production was good enough to organize a tour. We performed in Washington DC, Philadelphia and New York. It gave me my first taste of the energy of the stage. As the lead, I learned what it felt like to carry a production, and it was like being a lightning rod. I took my first actual dance class at Dartmouth College. I had to take a PE credit. It was either tennis or modern dance. I had a girlfriend in high school who was a modern dancer and who told me I ought to try taking dance classes because I had the facility for it. The woman who taught happened to be Alison Chase, and it was the last class she taught before she joined Pilobolus. I can remember my very first day. I literally had a revelation. It happened when I stood in second position with my arms out to my sides. I felt like the Vitruvian Man. It was a revelation after having done all these sports–football, track, running, skiing, rowing–to realize the body had a visual aspect and could convey emotion. I joined Pilobolus out of college and danced with them for almost five years. It was a great beginning to a dance career. And the years that followed–the rehearsals and creation of work–has informed the rest of my life. 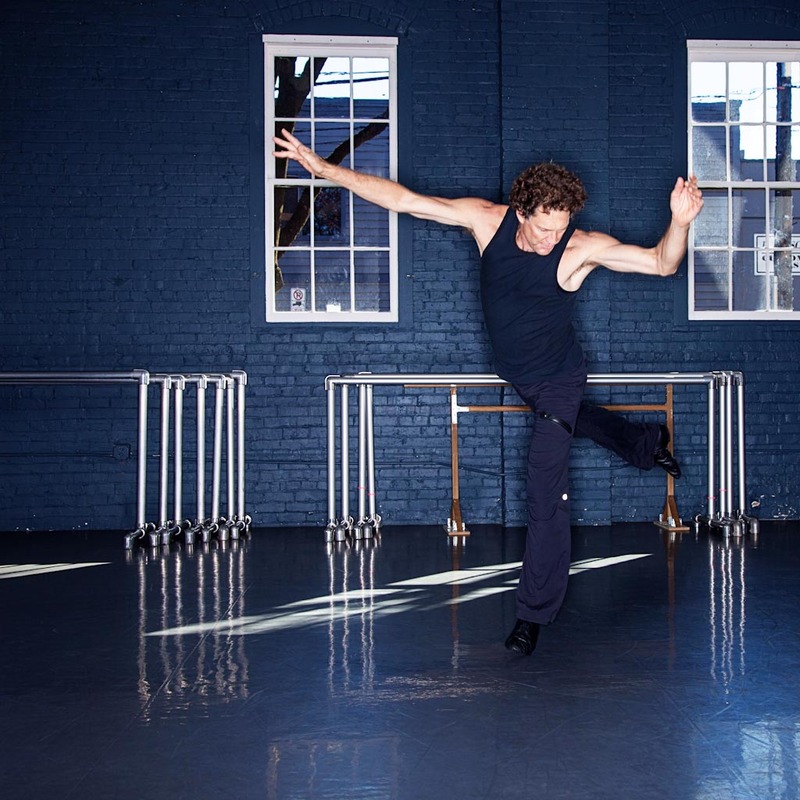 I left Pilobolus and was a rogue in the hills of Connecticut with other dance rogues. 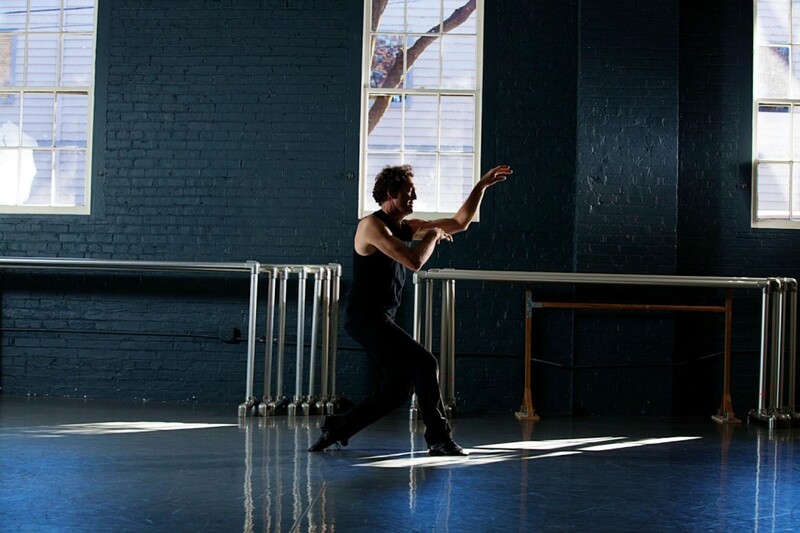 Four of us–Ashley Roland (my wife), Morleigh Steinberg, Danny Ezralow and I–got together and began dancing in Momix. Those were wonderful days of very intense work. We thought of ourselves as a band more than a dance company. I stopped for a couple years when I was about 40 because I was broken from touring. We were on the road 25 to 35 weeks a year. I stopped dancing for two or three years and rock-climbed and did yoga. That’s how I healed myself. That’s when Ashley and I moved back to Portland from Connecticut. In 1997, Ashley and I were asked to choreograph a version of “Carmina Burana” for the Portland Opera. 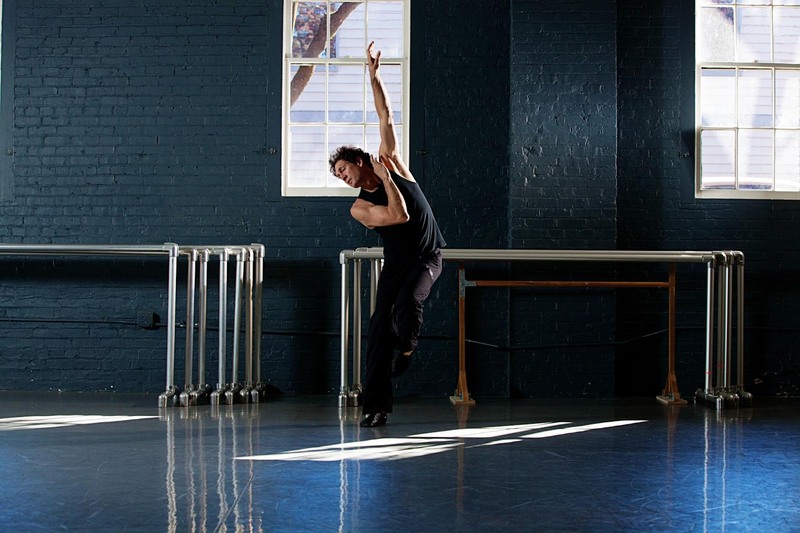 It was the piece that ultimately launched BodyVox. We created a sweeping piece for 13 dancers and 65 chorus members. It has since been performed by several other opera companies. Through that experience, we found five dancers who wanted to keep working with us. Now we’re 17 years into it. We had to call the group something. Ashley and I were driving one day and thought of the name BodyVox. We came back and told the group. Then someone turned to us and said, “Does that mean we’re a company?” We said, “Yeah, I guess it does.” It was a humble beginning. I just turned 60, and I had knee surgery a few months ago. It was my third knee surgery. Some days I just go ride my bicycle or lift weights. My body tends to like that calculable movement. The whole exercise regimen is variable now. I wake up and ask, what does this body need today? Does it need to go to the gym or does it need ballet class? Does it want Gyrotonics or a gin and tonic? The older you get, the more knowledge and wisdom you have in your body, and therefore the more expressive you can be. And yet your body is less mobile and less capable of delivering that expression. So it becomes almost a mathematical equation or riddle to solve. If you graph it, that intersection is fuzzy for me, and I’m compelled to keep pushing it further out. Do you feel as though you’ve achieved some measure of success? I’m sure there is a measure of success because otherwise I wouldn’t be here at this age surrounded by this thing Ashley and I have built. What I’m trying to do now is not look at a day in terms of what I don’t have or feel I need, but instead try to look at what’s coming toward me and immerse myself in that fully. That’s being successful as a human. Career success is fleeting. If it all ended today it would be a nice memory in people’s minds but eventually it wouldn’t matter and people would move on. That’s one of the things that scares me. I never want to be wondering if it all mattered. And I think most performers question that at some point. But you can’t get your foot stuck in that tar pit. I can’t deny the thought crosses my mind, but then I think, well, the world needs beauty and that’s what we make. And so that outweighs the misgivings I have about its ultimate value. I have dear friends that have passed away and I think of them constantly and what they’ve done. But they don’t think of it. Even if they were alive they wouldn’t think about it. So I guess that’s the point: legacy should be decided by someone other than the person who created the legacy. Do you think you’ll dance for the foreseeable future? Is there an expiration date? If there had been an expiration date, I would have set it long ago. Ashley and I get to be honest with each other and say if it’s not the right role for one of us to be doing. If I feel like I’m a liability onstage, then I’m not going to be out there. 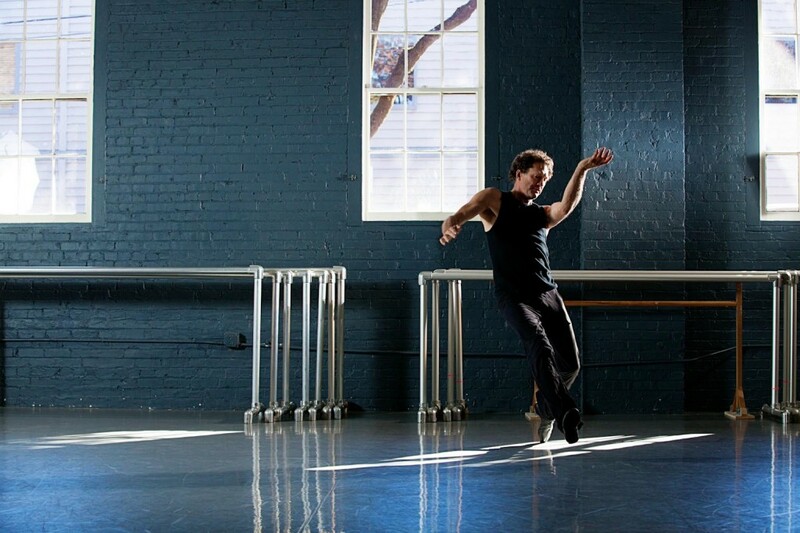 But when I’m dancing alone in a studio, it still feels amazing. I still feel that innocence, mystery and sense of wonder that a position or movement can mean something. Listen to the little voice in your head regarding what choice to make, because that’s the one that’s usually right. Get out of your own way. Don’t dance from a place of ego; dance from a place of giving and receiving. Jamey Hampton is a native of Portland, Oregon. 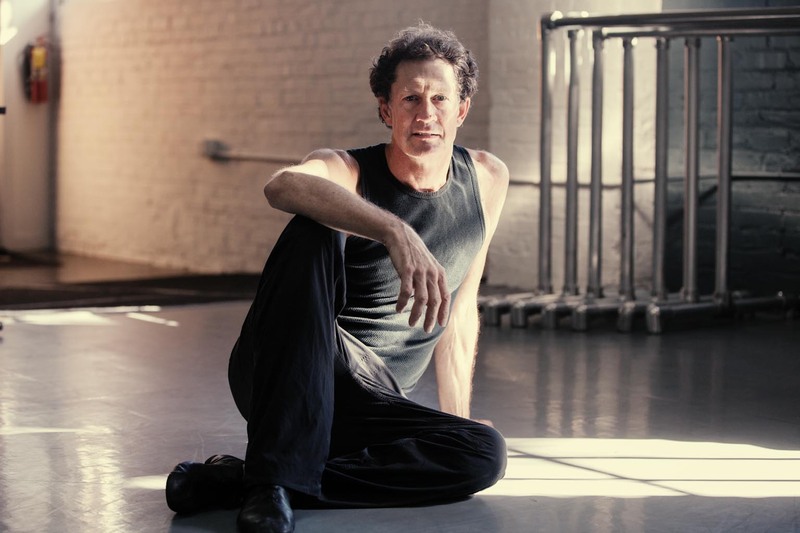 He graduated from Dartmouth College in 1976 with a BFA in drama and joined Pilobolus Dance Theater in 1978. 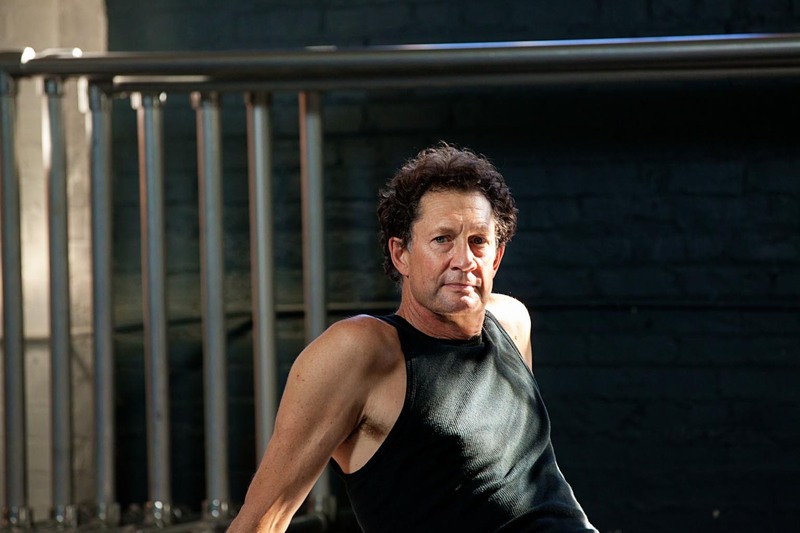 He has danced with Tandy Beal and Company and Crowsnest, was an original member of Momix, and co-founded ISO Dance. 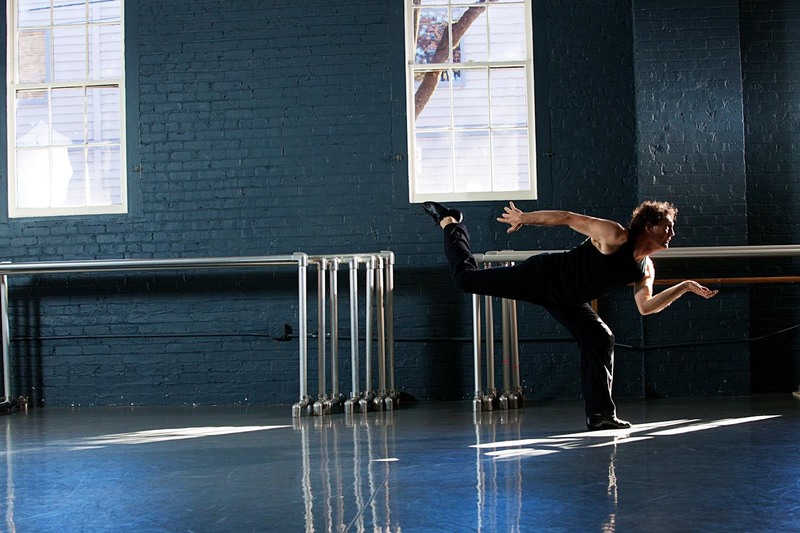 In 1997, he co-founded BodyVox with his wife Ashley Roland, where he continues to dance and co-direct.